Start class off the right way this holiday season with some giggle-worthy Thanksgiving Journal Prompts! The Short Thanksgiving Journal Prompt pages are great for young writers or lower-level learners. In case your class is a mix, I have included an additional page for writers who are inspired to fill out their Journal Prompts, with an option to create a cover page as well! 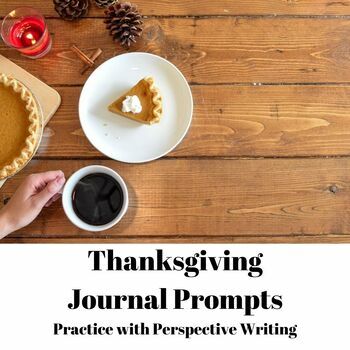 The Developed Thanksgiving Journal Prompts allow for older or more advanced writers to complete the prompts! Don't miss out on my Thanksgiving Grammar Worksheet - they pair well together.